Ten years ago, my husband and I escaped the January cold and spent a week in Costa Rica. We stayed at a beautiful but rustic lodge on the edge of the jungle, where the kitchen staff spoiled us with scrumptious meals made from the many local foods. Every meal was served with large chunks of fresh, juicy pineapple, and I couldn’t get enough of it. Perhaps it was the surrounding rainforest, or the sounds of birds, animals, and ocean waves on the beach that accentuated my pineapple-eating experience, but whatever the reason, I fell in love with fresh Costa Rican pineapples. But all vacations must come to an end, and we were soon home in snowy Minnesota. Still in that post-vacation glow when I headed to town to stock up on staples, I was delighted to see that our local grocery store had pineapples on special. I bought four and looked forward to once again having fresh pineapple with every meal. That was just the beginning of my pineapple obsession. Just for fun, I cut off the tops of my four pineapples, and put them in a planter box filled with soil. It didn’t take long for all four tops to take root and soon I had a row of attractive, low-maintenance houseplants. After a couple of years, they outgrew their box, so I split them. They kept growing – eventually reaching over four feet tall and equally wide. Then one day, I noticed a funny little tassel protruding out of the top of one of the plants. Upon closer inspection, I discovered that a baby pineapple was emerging. How exciting! Since I had no training as a pineapple farmer, I really didn’t know what to do next. So I opted to do nothing, and watched it grow. In about six months, my pineapple looked like those from the grocery store. It was harvest time. To me, it was the tastiest pineapple I ever had – even better than those in Costa Rica. 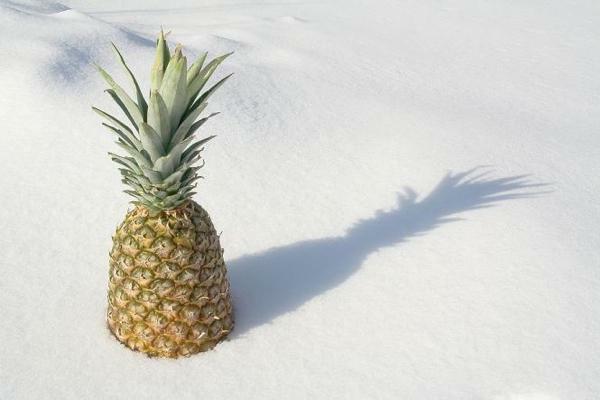 Perhaps it was because it was the first Minnesota-grown pineapple I ever ate. Or because it was the first pineapple I ever grew myself. Whatever the reason, I had discovered that growing pineapples is pretty easy. Then and there, I decided to become the first pineapple farmer in Minnesota. With that goal in mind, I now have about a dozen pineapple plants at various stages of growth. 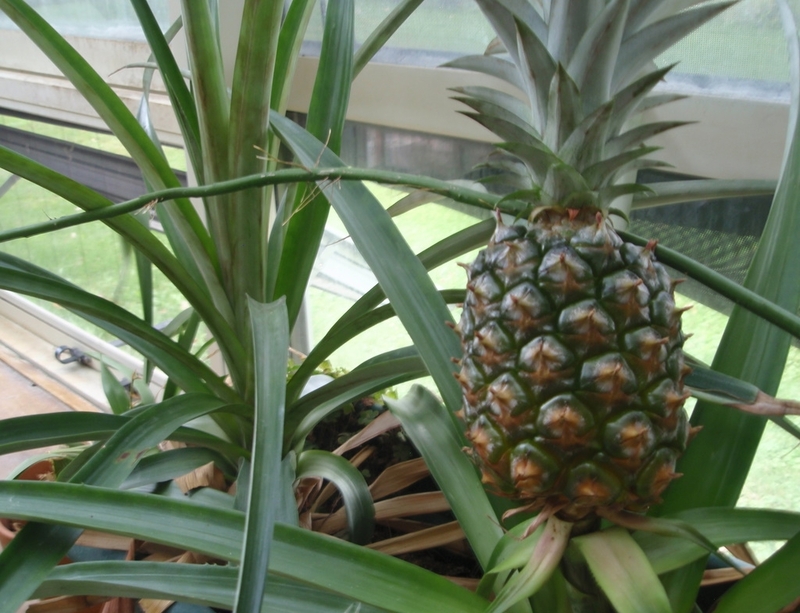 All four of my original plants have produced fruit, and the tops from those pineapples have been planted as well. Are they the first Minnesota-born pineapple plants? I think they may be! But pineapples aren’t the only tropical fruit plants that I’ve sprouted. There are a number of tropical plants that are easy and fun to grow. Avocado trees – The egg-sized seed found in the middle of an avocado will sprout and grow a beautiful, large-leafed tree. Clean the seed, peel off the brown casing and place it halfway into a pot of soil, with the larger end down. Alternately, place three or four toothpicks in middle of the seed and perch it on the rim of a glass of water; this way you can watch the roots sprout before transferring it to a pot. Once the seed produces a stem, it becomes a hearty plant that is easy to maintain. I have had two avocado plants grow to five feet tall. Date palm trees – Instead of spitting your date pits into the compost pile, put them in a jar of water or pot of soil. With just a little water, warmth and sun, it doesn’t take long for a date palm tree sprout to pop up, and soon you will have a large, attractive floor plant. Citrus trees – Try growing a lemon, lime, orange, or grapefruit tree! Put the seeds from your citrus fruit in a pot of soil. The seeds don’t have to be very deep, only about an inch below the surface. Place the pot in a sunny window, water it regularly, and you’ll be surprised how quickly that seed will grow into a tree. I have a citrus tree over six feet tall. It may never bear fruit like my pineapple plants, but I love to crush up a few leaves for a fragrant, fruity potpourri that smells like an orange orchard in bloom. Who cares if it’s January in Minnesota and you don’t have a tropical getaway planned? Try bringing the tropics into your own home. There are lots of fresh tropical fruits in the produce aisle to start with. Toss your fruit seeds into a pot instead of the garbage and see what sprouts. Who knows? Maybe you could become Minnesota’s first pomegranate farmer. 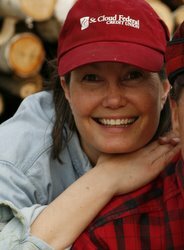 Debbie Morrison her husband Jim own and operate Sapsucker Farms, where their certified organic crops include maple syrup, honey, apples, plums and vegetables. Follow Debbie on Twitter at @sapsuckerfarms.